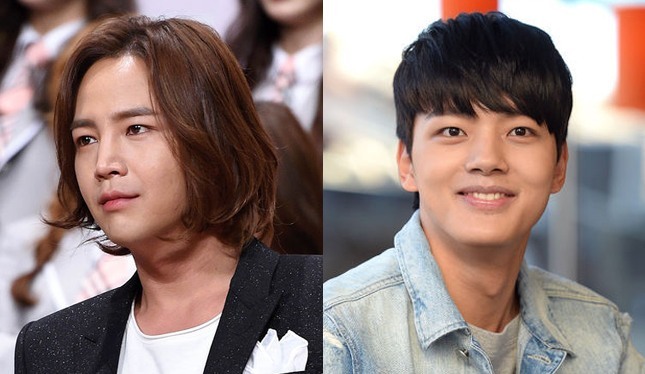 Korean TV network SB’s upcoming fictional historic TV series “Daebak” writer commended actors Jang Keun-suk and Yeo Jin-goo for their professionalism in an interview with local media OSEN on Thursday. Scenario writer Kwon Soon-kyu said he was “very content” with the cast, despite the pressure Jang and Yeo faced. The 39-year-old Kwon said he was “honored” to work with the 28-year-old hallyu star Jang, who took the role of protagonist Dae-gil, a vagabond gambler, after a two-year hiatus on the small screen. Kwon complimented the 18-year-old Yeo, who managed to take his first adult role, as King Yeongjo of Joseon Dynasty. Yeo previously gained recognition with many kid roles since his debut in 2005. “I saw him disguised as the king with beard and mustache, and it suited really well,” Kwon added. The series, preceded by fictional historic TV series “Six Flying Dragon,” kicked off filming Thursday. Its first episode is slated to be aired on March 22.